The other day I was passing through the living room and my sister Lori said oh so casually, “Have you seen these hints from Ancestry.com”? I looked down at her laptop and she was pointing to hints for our great grandfather Pietro Del Prinicipe. One hint caught my eye. 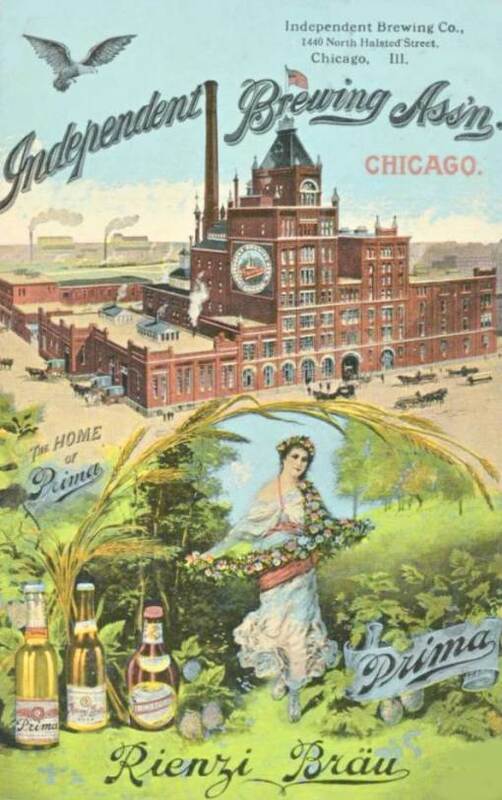 It was titled “Illinois, Wills and Probate Records, 1772-1999”. I knew that Ancestry had been indexing these documents but it didn’t occur to me that Pietro might have recorded his will. I calmly (not really) asked Lori to click on the hint and it truly was Pietro’s will! 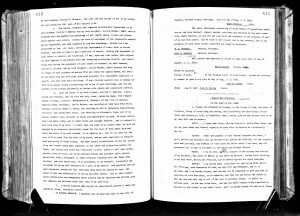 Below is page 1 of the will which was created by Pietro on 06 Apr 1922. Pietro passed away on 11 Jun 1922. Click here to see the Death Certificate of Pietro. It’s hard to read the cause of death but it had something to do with a liver problem. Pietro must have had health issues prompting his trip to an attorney (and perhaps to a doctor) to register a last will and testament. Click on the jpg files to enlarge and read them. 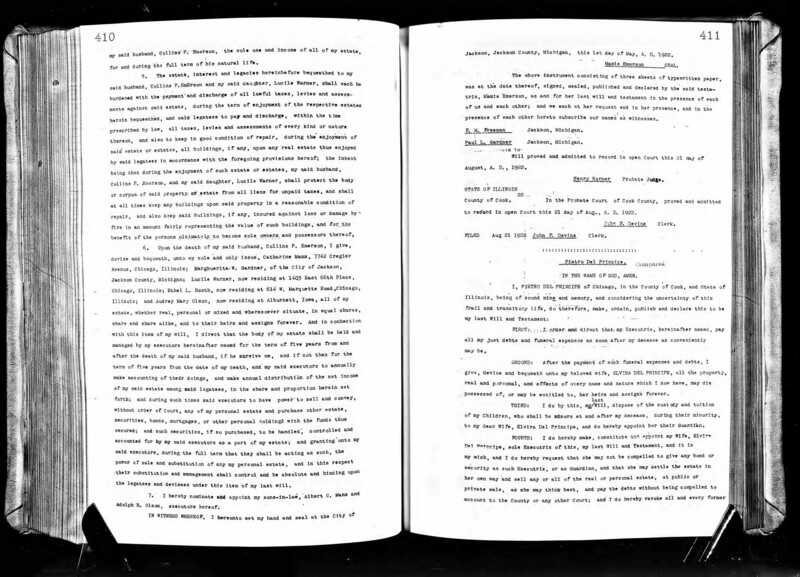 Page 1 of Pietro’s will is on the right side of the book in the first image and on the left side of the book in the second image. I have no heirlooms from my great grandparents. 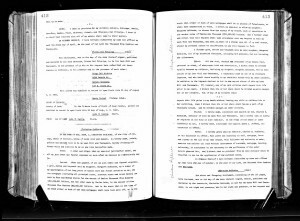 It is truly good luck to come across a document that has been scanned and archived for us and for future generations to view. 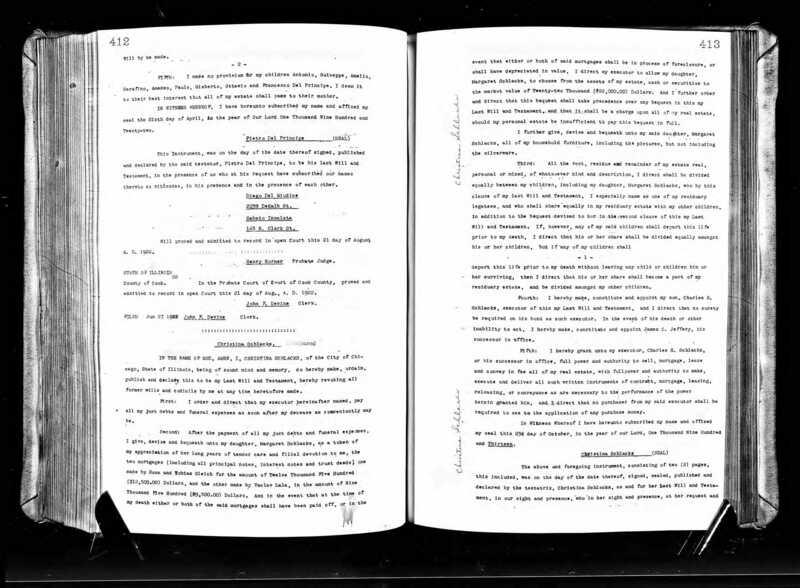 I am very appreciative to all the genealogists who volunteer their time to Family Search and to Ancestry who scan these important documents for us to stumble across. 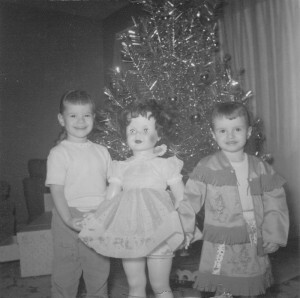 This picture was taken Christmas Day in 1961. 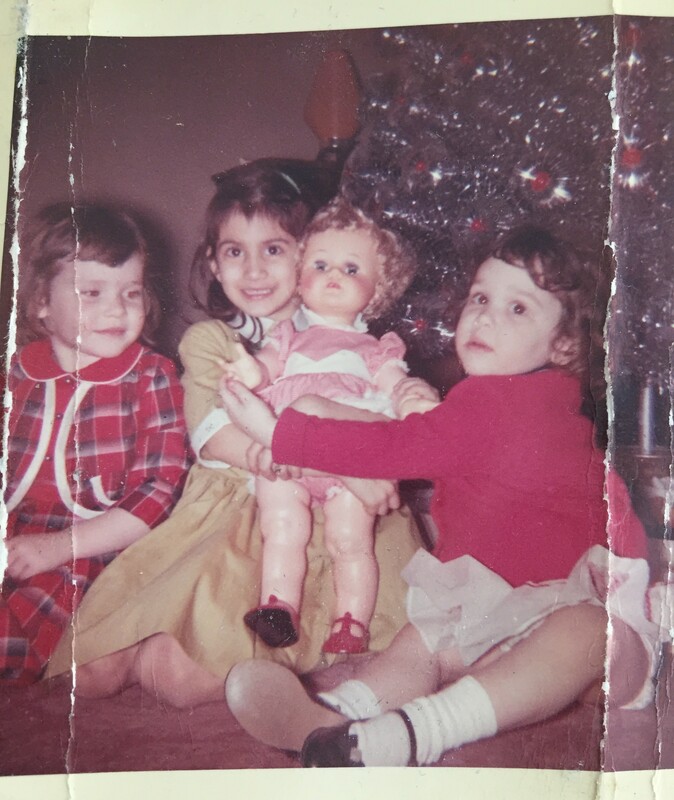 Second cousins Rosemary Heneghan, Sandy Del Principe, and Susan Heneghan were celebrating at their grandparents apartment, Bernie and Florence Del Principe. Bernie and Florence’s home was on North Ave, across the street from the music store. The girls great parents were Amelio (Emil) Del Principe and Rose Solomon. 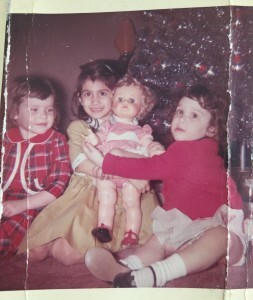 My sister and I also received a doll like the one in Sandy’s photo. Below is a photo of me and my sister Janice. Janice was born in 1958 so this photo was probably taken in 1960 or 1961. Looks like large dolls were at the top of little girls Christmas wish lists. Thank you for sharing the photo Sandy. As you gather with family this holiday season I hope you share photos and stories with the younger generations. I welcome any photos and stories you’d like me to post on our family website. Let’s honor our ancestors by keeping their stories alive. “There is no time like the present to save the past”. Wishing everyone a warm holiday season filled with love and laughter, family and friends. A few weeks ago my cousin, Joe Del Principe, emailed me a link to a you tube video that we’d like to share. Joe wrote “I thought you might like to have a copy of this Youtube video. It is from Pescasseroli this year during the Infiorata.” Infiorata means decorated with flowers. The whole community takes part in the tradition. The elderly collect flowers and the children and young people implement the designs. Flower petals are used to create amazing works of art in the streets for Pescasseroli’s annual flower art festival. I love listening to the church bells chime. One day I hope to dig through those church records! Thanks for sharing Joe. Click here to watch the video. That was the headline for a newspaper article published in the Chicago Tribune dated 28 Dec 1897. Three men were in the accident including Theodore Winkofske. Theodore was my 2nd great uncle and the brother of my paternal great grandfather Charles Peter Winkofske. Theodore was a contractor working with two of his employees cleaning five 1,200 gallon beer vats for the Independent Brewing Assoc. on North Halsted St in Chicago. The men were putting a coat of varnish on the interior of the beer vats. Theodore accidentally struck his incandescent light against the iron. The bulb was shattered and the enamel exploded. Theodore was thrown through a manhole and was killed instantly. 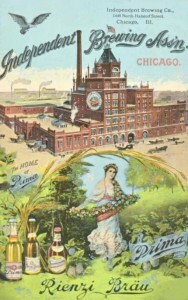 His two employees, Louis Imme and Leonard Schaller, were badly burned and could not be rescued until the fire subsided. Click here for the article from the Chicago Tribune Archive (which was found at Newspapers.com) and read the story in depth. Theodore was only 24 years old when he died. He was married to Louise Scheel and they had two sons, Edward Ludwig Michael and Gustave. Mount St Helens is in Washington, about 50 miles from my home in Portland, Oregon. Thirty five years ago, on May 18, 1980, on a beautiful warm sunny Sunday afternoon Mount St Helens erupted. The photo above could have been taken from my upstairs bedroom window, although it wasn’t. You can see the top of the mountain peaking out above the trees. Our home is surrounded by Forest Park which is the largest urban forest in the United States. Looking across the Willamette River I saw the top of Mount St Helens and it’s plum of ash. It was a vision I will never forget. 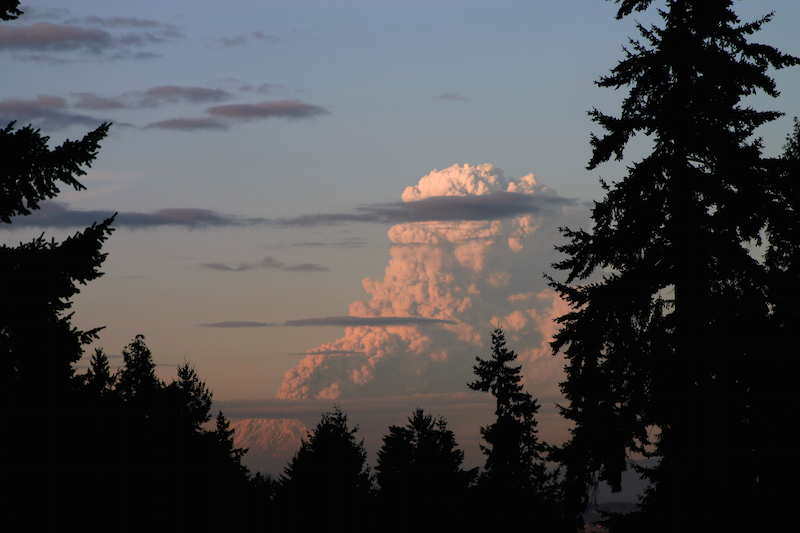 The eruption rose 80,000 feet and ash was blown east, towards Spokane. We had a light dusting of ash on our cars. What started out as an ordinary Sunday for me was a life changing event for so many others. Fifty seven people were killed in this tragedy including Harry Truman an 84 year old resident of the mountain who refused to leave his property. Harry was the owner and caretake of Mount St Helens Lodge at Spirit Lake. The eruption completely displaced Spirit Lake.